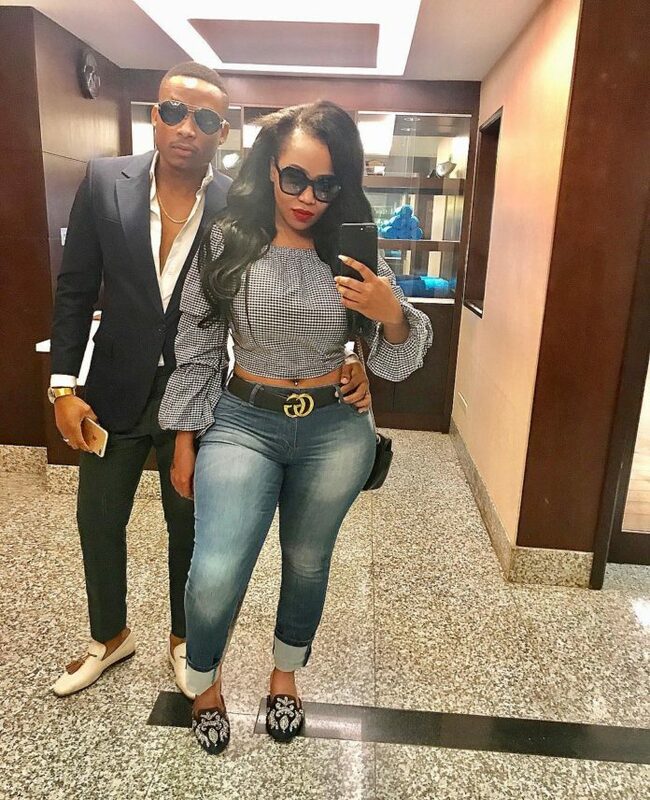 Singer Otile Brown and Vera Sidika are not lovers any more. Sidika first made the announcement on her platform that Oitle used and dumped her leaving many shocked. Kenyans, or should we say women, took to Otile’s platform to rebuke him for his action forcing the singer to come out and speak on why he had to part ways with the flamboyant socialite. According to Otile, Vera is just playing victim in this whole saga. He didn’t share why he dumped her though. “There is something she did that really turned me off and ever since the relationship has been on a sinking grounds, fights all the time and I could feel the distance between us even when we’re together, the love was fading away,” said Otile. 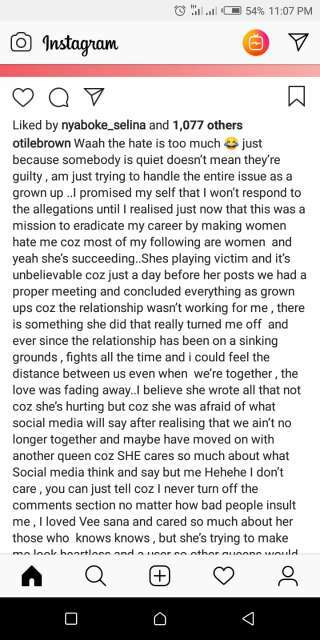 “I believe she wrote all that not coz she’s hurting but coz she was afraid of what social media will say after realizing that we ain’t no longer together and maybe have moved on with another queen coz SHE cares so much about what Social media think and say but me Hehehe I don’t care, you can just tell coz I don’t turn off the comments section no matter how bad people insult me. I loved Vee sana and cared so much about her those who knows knows, but she’s trying to make me look heartless and a user so other queens would see me different and be cautious anytime am trying to make a move towards any,” added Otile.